Added by Indo American News on April 19, 2018. HOUSTON: “Art enables us to find ourselves and lose ourselves at the same time”. This famous quote by Thomas Merton is apt as art has the power to mesmerize. 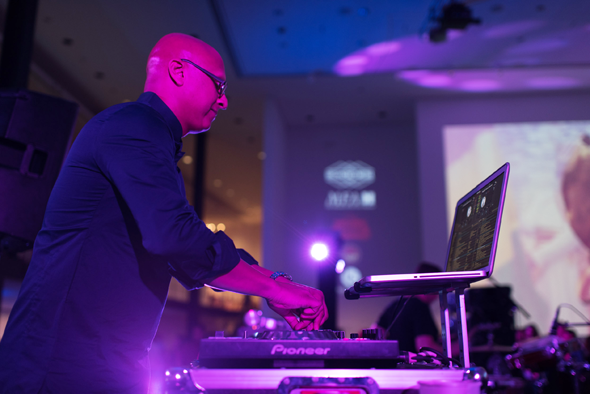 Houston’s colorful personality was felicitated by a captivating MFAH Mixed Media event on Friday, April 6. 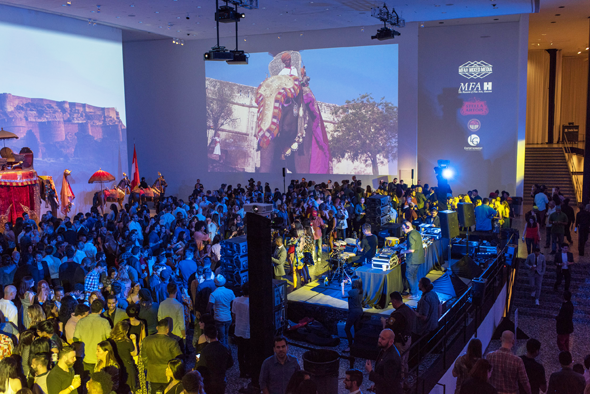 The Museum of Fine Arts, Houston (MFAH) embraced this vibrant jamboree, an event full of fun, frolic and knowledge. 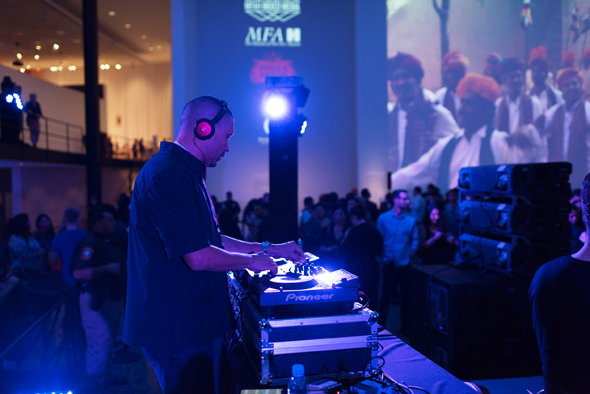 The Mixed Media party was a one-night event, hosted by the MFAH that celebrated Peacock in the Desert: The Royal Arts of Jodhpur, India exhibition. Around 1,300 enthusiastic guests attended the event, which made the hall lively and energetic. It was not only the positivity of the crowd that walked in, but also the amazing range of activities that were being held. Guests were able to participate in art-making projects, which included creating their own bangles with wooden bracelets and thread, and spinning paper pinwheels. The house was bought down by the super cool DJ- Yogi-G, who rocked with the latest club dance hits, coupled with Bhangra and some old Bollywood music. He was followed later by the DJ & recording artist- DJ Sun. 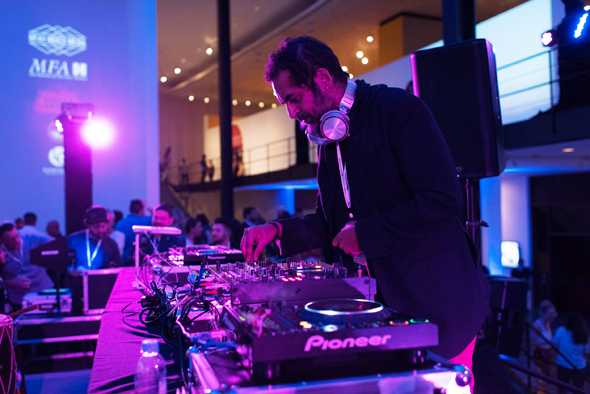 The next one in row was a electrifying performance by Karsh Kale, who elegantly blended the distinct worlds of electronica, Indian classical music, rock, jazz fusion and hip hop. The audience went berserk and was thoroughly delighted by this magnificent performance. Guests were provided with an exclusive “after-hours” access to the exhibition Peacock in the Desert: The Royal Arts of Jodhpur, India. The exhibition was debuted at the MFAH in March 2018, and will be on view until August 19, 2018. The contents of this exhibition are really something that needs to be experienced. Right from some groundbreaking exhibits of centuries old royal treasures from Jodhpur, India, brought into the U.S. for the first time, to nearly four centuries of artistic creations from the Kingdom of Marwar-Jodhpur, in the northwestern state of Rajasthan, this spell-binding demonstration of art is truly lavish and larger than life. The marvelous exhibition is organized by the MFAH in partnership with the Mehrangarh Museum Trust of Jodhpur and it truly represents one of the flavors of the rich country. Established in 1900, the Museum of Fine Arts, Houston, is among the top ten art museums in the United States, with a historic encyclopedic collection of more than 65,000 works, that date from antiquity to the present era. Mehrangarh Museum Trust is India’s leading cultural institution and center of excellence, established in 1972 by the 36th Custodian of Marwar-Jodhpur, H. H. Maharaja Gaj Singh II, to make the Fort gates open to welcome visitors. The stunning exhibition features around 250 objects from the royal collection housed in the Mehrangarh Fort in Jodhpur, India, that have been preserved, restored, and now shared with the North American audiences for the first time ever. Some of the pieces on display are regal ceremonial objects, finely crafted arms and armor, sumptuous jewels, intricately carved furnishings and a monumental 17th-th century court tent, that indeed outline the dynamic history of the Marwar-Jodhpur region and the Rathore dynasty that ruled it for more than 700 years. One of the most visited zones was where an interesting masterpiece was on display. 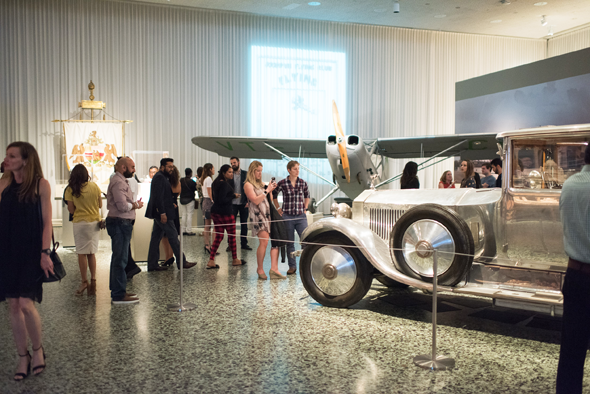 This special object of interest was Maharajah Gaj Singh’s silver Rolls Royce and his personal 1944 L-5 Sentinel aircraft. It was interesting to note that most of the objects have never traveled outside of the Palace walls prior to this. The exhibition shares the story of the Rathore dynasty, and how the kingdom acquired and commissioned objects over nearly four centuries. The exhibition is on view at 1001 Bissonnet Street. To know further details please visit www.mfah.org/peacock.